Under a Killing Moon is perhaps the best known of the Tex Murphy games, of which this is the fifth in the series and together the franchise forms a strong line-up of mood, noir-like detective thrillers which are well worth seeking out for mystery and adventure fans. The games are all set in the grim, dark future of the 21st century where a third world war has devastated the globe and where mutants exist alongside the few 'norms' who remain untouched by the radiation levels. In each game, players take control of Tex Murphy, a tough PI with all the classic problems of such characters, like a fondness for the booze. Story-wise, this takes Murphy back to the beginning of his career, in a classic tale of murder, intrigue and double-crossing, that unfolds in the fashion of all great noir thrillers, with plenty of shady characters and dangerous situations. Gameplay in this instalment is similar to previous games and is a mix of following hunches, searching for clues, interrogating suspects and solving inventory-based puzzles. 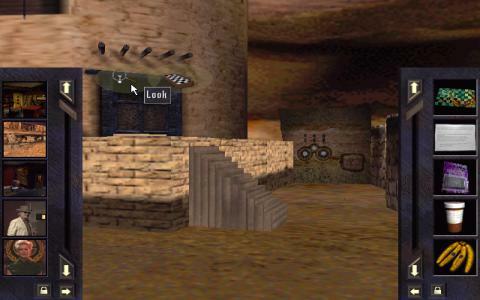 However, advances in technology allow the game to be opened up over earlier ones, with environments now capable of viewed from several angles and which can be explored freely, making the game feel much more authentic and exciting. 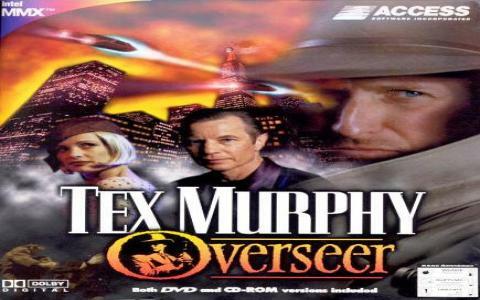 Overseer is probably the best in the Tex Murphy series, thanks to its combination of clever dialogue, inventive puzzles, visual splendour and epic nature and is only slightly marred by its incredibly high difficulty. If you can get past this (and fortunately hints are available in-game), then one of the finest interactive movie adventures is yours to enjoy.